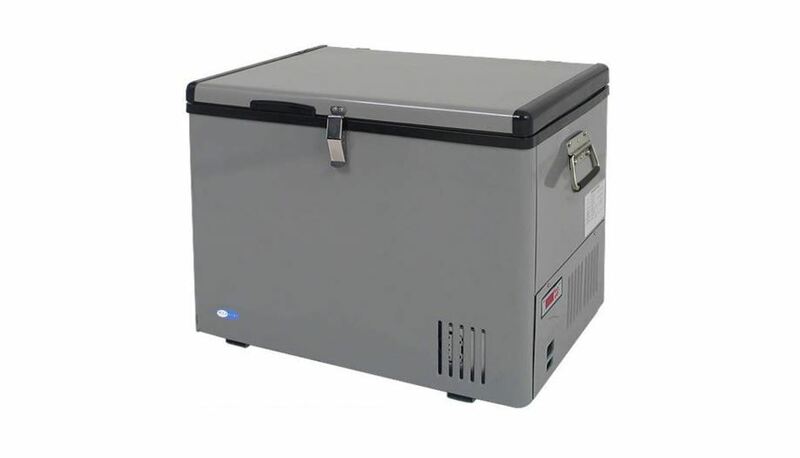 If you are looking for a high-capacity portable fridge and freezer we recommend the Whynter FM-45G. It is a 45-quart fridge/freezer that provides plenty of space for your food and drinks for camping, road trips and fishing trips. It’s also perfect for boats and RVs. The Whynter FM-45G is obviously bigger than your standard portable cooler. But it can still fit on the back seat of your car and in the trunk of most minivans and SUVs. One of the most surprising things about the Whynter FM-45G is the cost. It is much cheaper than portable fridges with comparable capacity, costing as little as half the price of some popular models. If you’ve been looking for a pocket-friendly fridge for your car, truck, boat or RV, the Whynter FM-45G provides the most bang for your buck. Read on to learn more about the Whynter FM-45G portable refrigerator. If you are looking for a smaller and cheaper portable cooler, we’ve reviewed some great thermoelectric coolers in our in-depth electric coolers buying guide. Extra-large capacity – great for big families, large groups and long trips. Powerful cooling capacity – just as good as your kitchen fridge. Great value –cheaper than comparable mini fridges. Hardy and durable all-metal construction. Separately-controlled temperature zones – one can be used as a fridge and the other as a freezer. It’s heavy and even more so when filled with food and drinks. You’ll need two people to carry it. The 12V cable included is poor quality. Plan to buy your own. The Whynter FM-45G works pretty much the same way as your kitchen refrigerator. It has a compressor and a fan that can cool down the inside to below freezing. The minimum temperature range is -6 to 50 degrees Fahrenheit. You can set the interior temperature to just cool down your foods or freeze it. 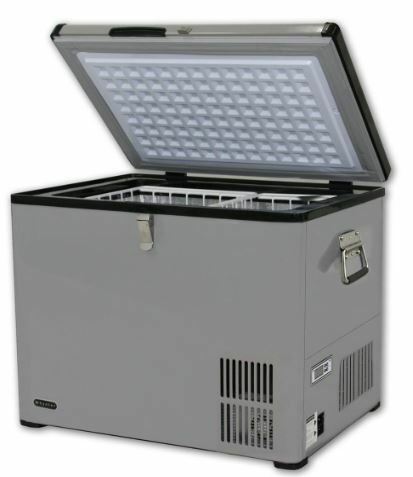 Unlike thermoelectric coolers and ice chests, you don’t have to pre-freeze food or put in cold drinks. Even if you put in something hot, it will cool down quickly. This is helpful if you are using this as your primary fridge in your RV or boat. If you travel often as a family or large group of friends, the Whynter FM-45G 45-quart capacity will comfortably hold all the food and drinks you need. 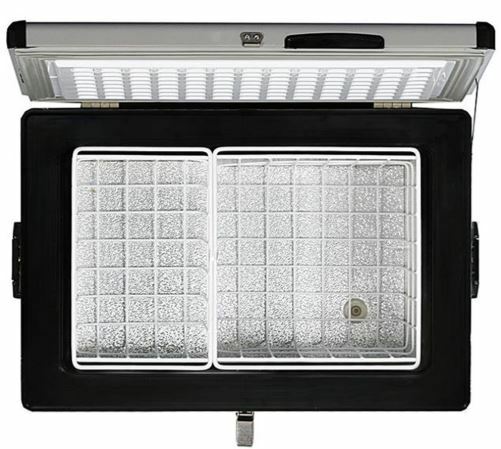 The large capacity is also great for those who are using it in their RV, truck or boat. The downside is that the refrigerator is bigger and heavier than your typical portable cooler. In most vehicles, it will only fit in the trunk. You’ll also need an extra pair of hand to help you carry it to and from the vehicle. The large interior is not one continuous space. It’s divided into two compartments using wire baskets. This makes organizing your stuff so much easier. You can have your meat and dairy in one section and fruits and drinks in another. Even better, you can individually adjust the temperature of each compartment. If you want your dairy and meats to stay frozen in one compartment but your soda and water to just stay cold in the other, it’s possible. This mode is handy for fishing and hunting. To ensure your fresh catch stays fresh, put it in one of the compartments and turn on fast freeze. The refrigerator will quickly cool down your catch to the lowest temperature, freezing it in less time than usual. 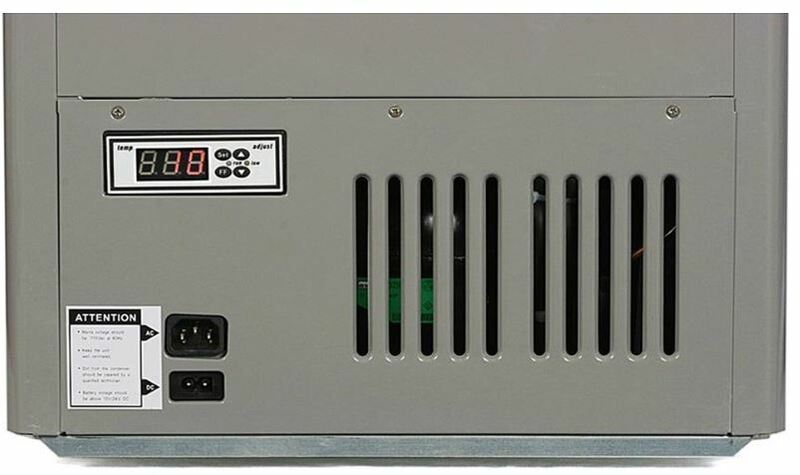 There are two ways to power the Whynter FM-45G refrigerator. If you are using it in your truck or car, plug in the 8-foot DC power cord into the cigarette lighter socket. If you are using it at home, in an RV or a boat, use the included AC power cord to plug it into a standard outlet. For camping and picnics, you can also power it via a solar generator’s DC outlet. You are looking for an affordable mini fridge/freezer. You are looking for a mini refrigerator that can quickly cool or freeze your food and drinks. 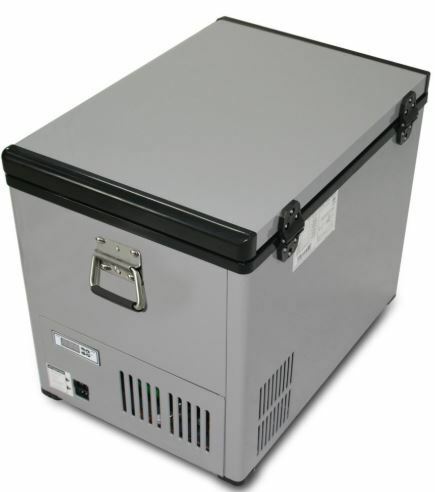 You are looking for a large capacity cooler for travelling, your boat or RV. You want a mini refrigerator with temperature-controlled fridge and freezer compartments. You are looking for a compact and lightweight cooler.